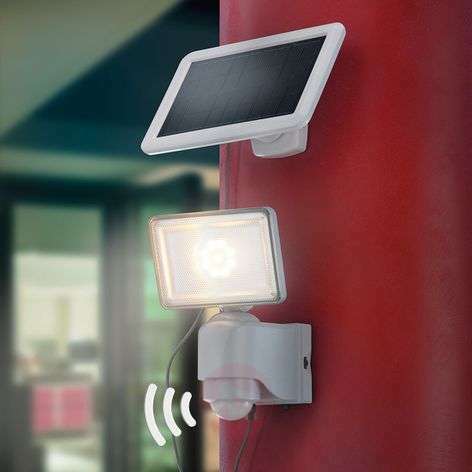 With a remarkable light output of 500 lumens and an extensive, glare-free light output, the solar-powered LED wall spotlight Power 500 proves to be a superior light source for outdoor areas. 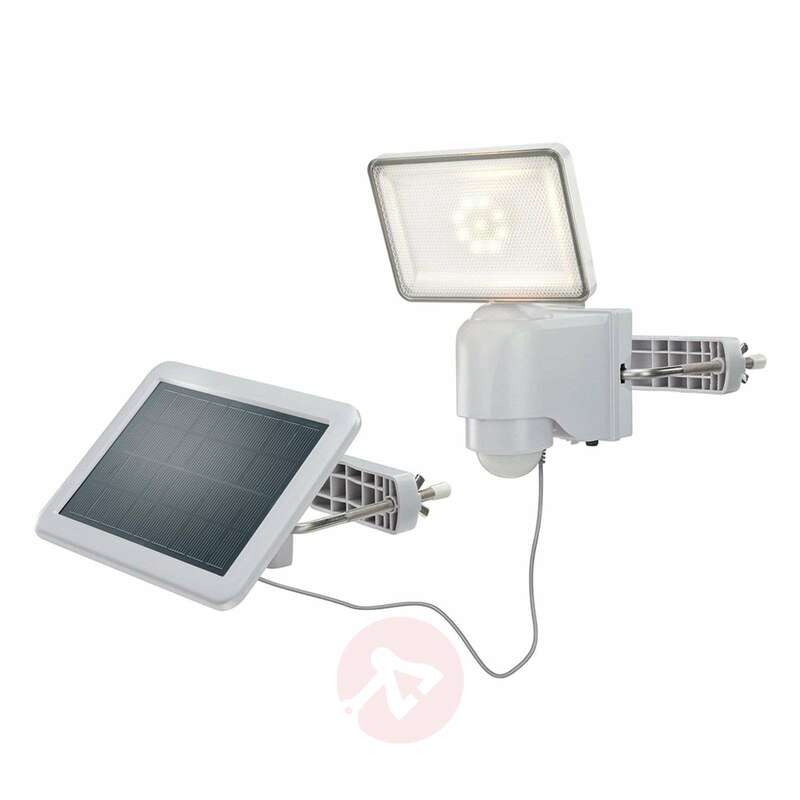 Specifically due to its extensive light output with a glare-free lighting effect and its integrated infrared motion sensor, it is ideal for lighting larger areas, for example courtyard entrances or spacious entrances to buildings. 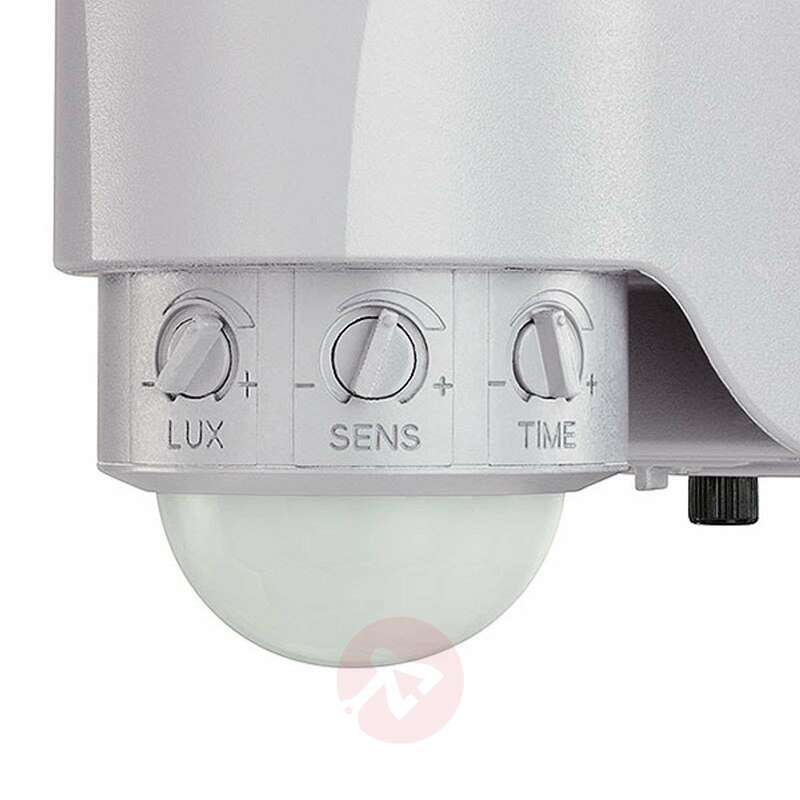 The integrated twilight sensor switches on the motion sensor when a certain level of brightness is reached and, as soon as the motion sensor detects movement, the LED lighting switches on automatically and then after a certain period of time it switches off again. The LED wall spotlight and the crystalline solar panel with its glass cover and Kyocera cells (good winter operation) can be installed on the wall or on a post independently of one another. - PIR sensor: range ten metres, detection angle 140°, lighting duration adjustable from 20 secs to 58 secs. We are sorry to hear that the hinge where the spotlight attaches to the sensor was broken. The manufacturer does not have the hinge only available as replacement. In these cases we must make a replacement of the whole unit.